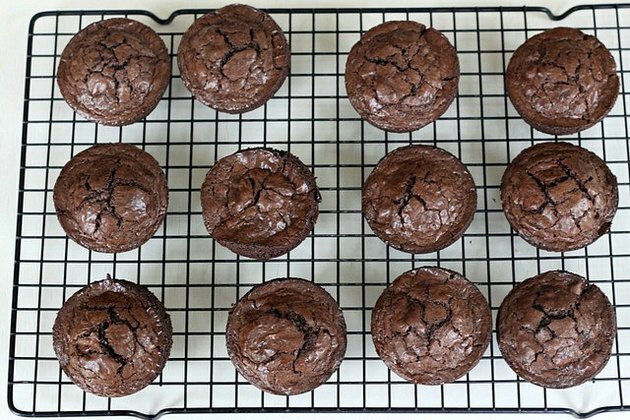 Baking individual brownies in a cupcake pan is not only simple but the results can be served in many ways: with a scoop of melting ice cream, under a dollop of freshly whipped cream, or frosted to perfection. For this tutorial, we use a boxed brownie mix and include some tips for transforming the mix into the richest, most decadent cupcake-shaped brownies you've ever eaten. Note: If you prefer to make your brownies from scratch, here is the *only homemade brownie recipe you'll need**. 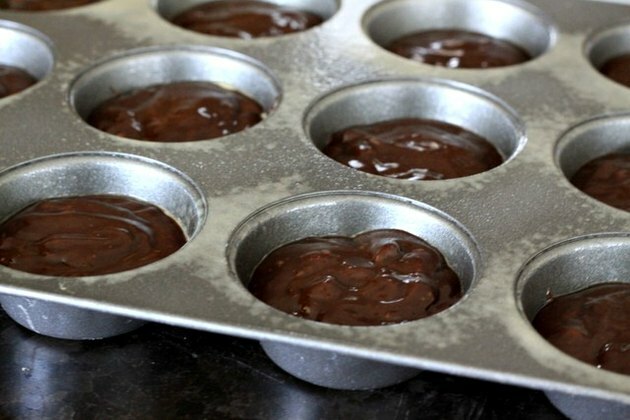 When baking brownies in a cupcake pan instead of in a large pan, bump up the temperature for a perfect result. For example, the instructions on the store-bought brownie mix we used here called for baking at 350 degrees F, so we baked at 375 degrees F.
Since you'll be baking individual brownies, you want to be sure that your pans are greased thoroughly. 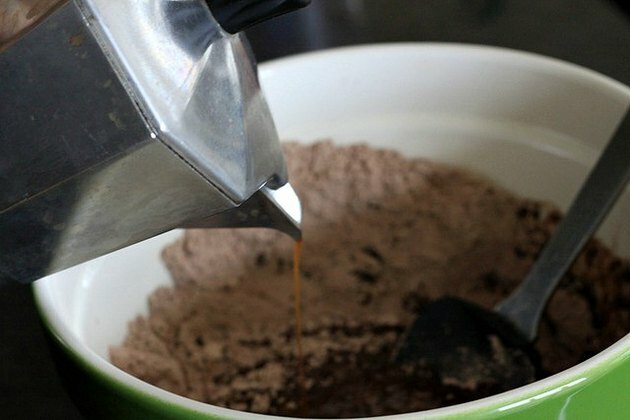 Use a baking spray with flour to easily coat each cup quickly. For a colorful presentation, use paper or foil cupcake liners but to get more of those famous brownie "edges" skip the liners and use this spray method instead. 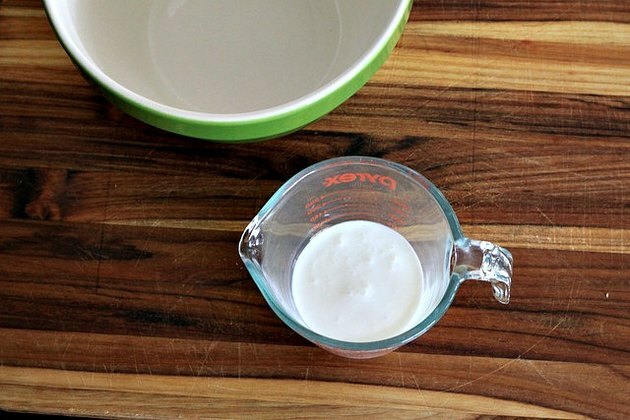 Substitute With Buttermilk: Replace the water or milk called for in the recipe with buttermilk. Its tanginess will match beautifully with the chocolate. 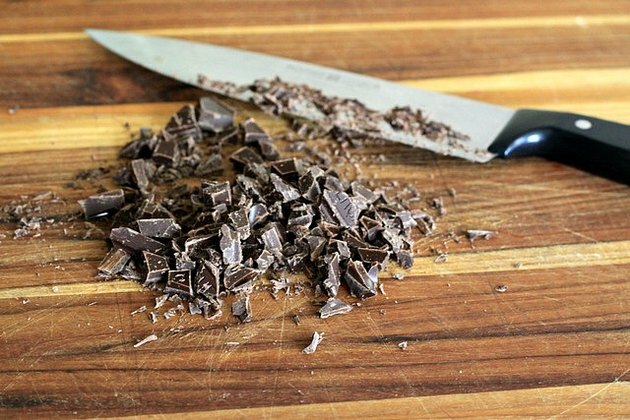 Double Up On the Chocolate: For an outrageous chocolate experience, add about 1/3 cup of chopped chocolate to your batter. Be sure to get the shavings in there too. They'll melt right into the brownies for another level of chocolate flavor. Try a Little Coffee: Adding a teaspoon of brewed coffee brings out the chocolate in your entire batch of brownie cupcakes. It's delicious! 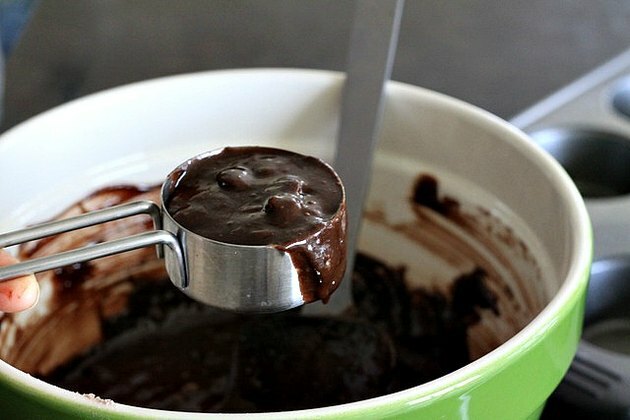 To ensure that each brownie will be about the same size, ladle out the batter using a 1/4 measuring cup. 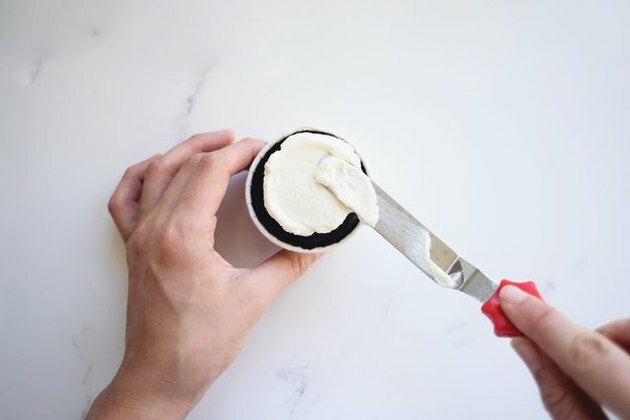 Scoop out the batter with a small silicone spatula, right into the prepared cupcake pan. Each cup should be about 3/4 full. 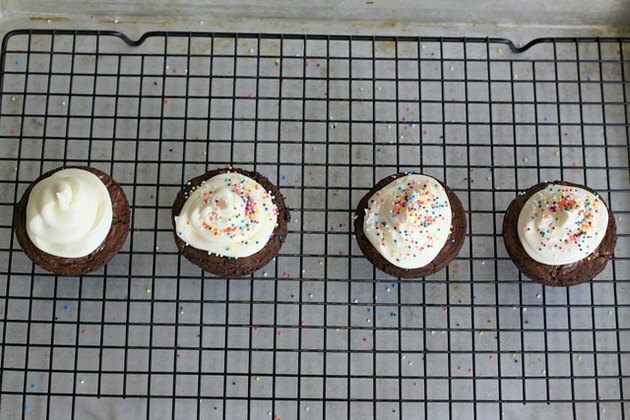 You'll only need to bake your cupcake brownies for 25 to 30 minutes. Keep an eye on them. When the tops are cracked and firm to the touch, they're done. One of the benefits of making brownies in a cupcake pan is how much easier they are to get out of the pan. Let the brownies cool for only 2 to 3 minutes before turning them out on a wire rack to cool completely before icing. 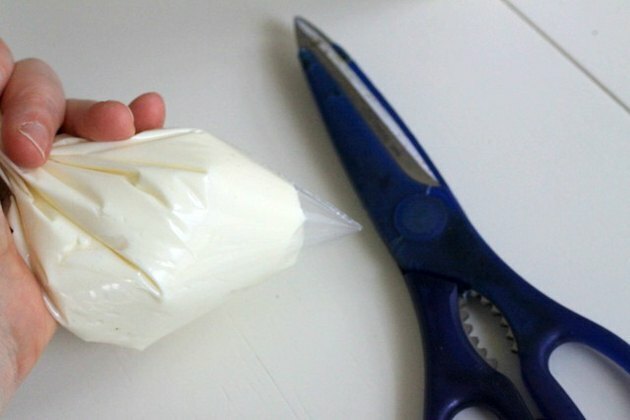 If you want to pipe icing on top, it's easy to make your own pastry bag with any sandwich-style bag. Fill with frosting, work the frosting down to one corner and snip the edge with kitchen scissors. Adding sprinkles but don't want to make a huge mess? Place your wire rack above a baking sheet to catch all the stray sprinkles. Or use larger candies which only require a few to get the job done. 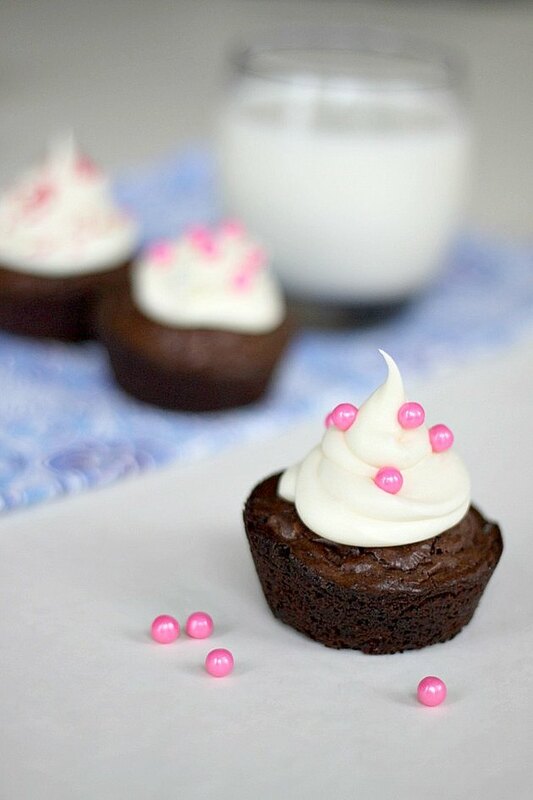 Top those brownies off with this delicious easy to make whipped cream frosting. 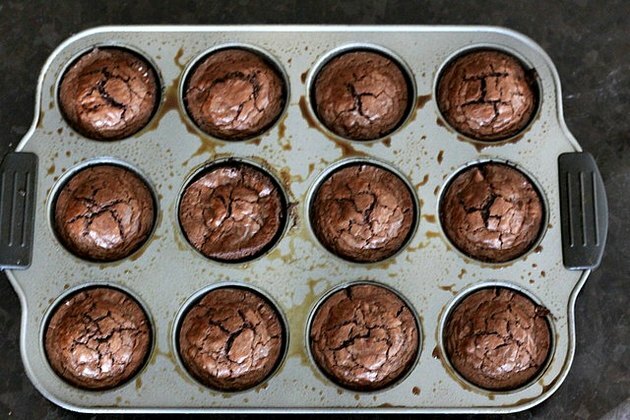 Also, did you know muffin pans aren't just for cupcakes, brownies and muffins? 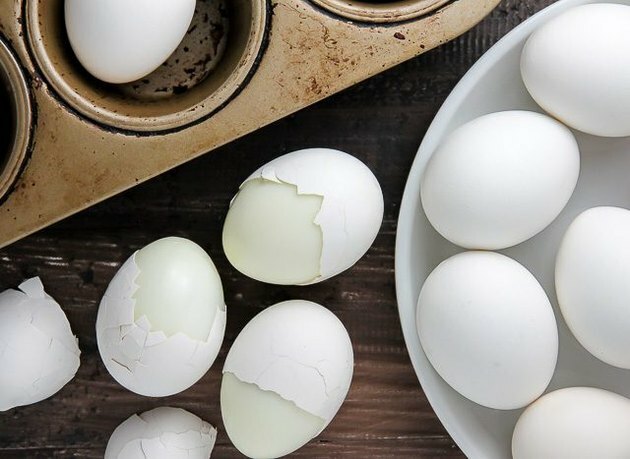 Here's how to use a muffin pan to cook hard boiled eggs. It's so simple, it's silly.